New Jersey Attorney General's Office issued the following announcement on July 24. Attorney General Gurbir S. Grewal announced the indictment of 24 New Jersey residents – including a tax preparer, her husband, and relatives and friends of the couple – on charges that they stole hundreds of thousands of dollars by filing fraudulent tax returns with the State of Hawaii in order to obtain refunds. They allegedly attempted to steal over $400,000, but because some of the filings were denied, the actual loss to the State of Hawaii was $246,667. The defendants were indicted in “Operation Coast to Coast,” a joint investigation by the New Jersey Division of Criminal Justice, New Jersey State Police Cyber Crimes Unit, New Jersey Division of Taxation-Office of Criminal Investigation, and State of Hawaii Department of Taxation. The investigation began with a referral from the Hawaii Department of Taxation, which identified a number of New Jersey residents who fraudulently obtained tax refunds. The alleged leader of the scheme, Mylove D. Tetterton, 44, of East Orange, N.J., is charged in the indictment with promoting organized street crime, a first-degree crime that carries a sentence of 10 to 20 years in state prison. She owns and operates a tax preparation service in Jersey City called Mylove’s Tax Service. Tetterton allegedly filed 65 fraudulent Hawaii tax returns for tax year 2013 for individuals who never resided in or earned wages in Hawaii. She allegedly used personal identifying information that was obtained from co-conspirators or stolen, including personal identifying information of people who were deceased. Tetterton allegedly used much of the stolen money to gamble in Atlantic City. Tetterton allegedly had the refund checks sent to addresses associated with her or her co-conspirators. It is alleged that she cashed only a few checks herself, but directed her co-conspirators to cash or deposit the checks and turn over a large share of the money to her. Her husband, Anthony Hodges, 43, of East Orange, allegedly assisted in leading the scheme, acting as her “money man” and collecting proceeds of the refund checks from the other co-conspirators. Several relatives of the couple also are charged, including Hodges’s sister Rosetta Hodges, 36, and three children of Tetterton: daughter Mylove A. Tetterton, 26, son Khyreq Tetterton, 25, and adopted son, Kaseem Stephens, 25. The state grand jury indictment, which was secured yesterday by the Division of Criminal Justice Financial & Computer Crimes Bureau, charges all 24 defendants with second-degree counts of conspiracy, trafficking in personal identifying information of another, theft by deception, receiving stolen property, and money laundering. All defendants also are charged with third-degree forgery. “Tax fraud is a serious crime that undermines government and harms hardworking, law-abiding taxpayers everywhere. It’s reassuring to know that we have outstanding public servants across multiple government agencies who are committed to rooting out this fraud. I want to thank everyone involved in this joint investigation – from the Attorney General’s Office, to the State Police, to our Division of Taxation and the Hawaii Department of Taxation – for their commitment and collaboration,” said New Jersey State Treasurer Elizabeth Maher Muoio. Deputy Attorneys General Brandy T. Malfitano and Marie G. McGovern presented the indictment to the state grand jury for the Division of Criminal Justice Financial & Computer Crimes Bureau. They were assisted by Analyst Nathalie Kurzawa. Attorney General Grewal commended the members of the Division of Criminal Justice assigned to the case, as well as the Detectives of the New Jersey State Police Cyber Crimes Unit, Special Agents of the Financial Crimes Unit of the New Jersey Division of Taxation-Office of Criminal Investigation, and Special Agents of the Hawaii Department of Taxation who conducted the investigation. Lead Special Agent Albert Piepszak and Chief Special Agent Jordan Lowe were lead investigators for the Criminal Investigation Section of the Hawaii Department of Taxation. 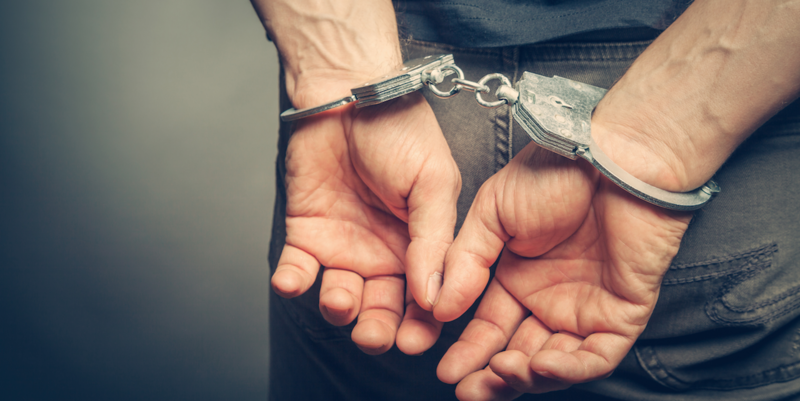 First-degree crimes carry a sentence of 10 to 20 years in state prison and a fine of up to $200,000, while second-degree crimes carry a sentence of five to 10 years in prison and a fine of up to $150,000. Third-degree crimes carry a sentence of three to five years in prison and a fine of up to $15,000. The indictment was handed up to Superior Court Judge Peter E. Warshaw in Mercer County, who assigned the case to Hudson County, where the defendants will be ordered to appear for arraignment at a later date. Mylove D. Tetterton, 44, of East Orange, N.J.
Anthony Hodges, 43, of East Orange, N.J.
Constantine Kunaka, 26, of Jersey City, N.J.
Jean Allen, 47, of Egg Harbor Township, N.J.
Valerie Anderson, 54, of East Orange, N.J.
Karen Bristol-Thomas, 54, of Whitesboro, N.J.
Max Clairsin, 26, of Jersey City, N.J.
Jamal Coar, 29, of Jersey City, N.J.
Jasmire Coar, 27, of Jersey City, N.J.
Gabriel Daravina, 42, of Roselle, N.J.
Chante Darby, 32, of Jersey City, N.J.
Yvette Fountain, 38, of Jersey City, N.J.
Kevin Grant, 48, of Jersey City, N.J.
Reginald Haines, 50, of Neptune, N.J.
Destry Harris, 51, of Newark, N.J.
Rosetta Hodges, 36, of Neptune, N.J.
Joseph Pierce, 48, of New Brunswick, N.J.
Yolanda Terry, 43, of Freehold, N.J.
Mylove A. Tetterton, 26, of East Orange, N.J.
Kaseem Stephens, 25, of East Orange, N.J.
Khyreq Tetterton, 25, of East Orange, N.J.
Jermaine Thomas, 46, of Jersey City, N.J.
William Young, 57, of Jersey City, N.J.
D’Jenne Zulu, 24, Egg Harbor Township, N.J.